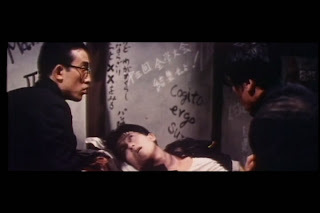 Nagisa Oshima was the seminal figure of the Japanese New Wave, a director whose political passion, unwillingness to compromise and artistic experimentation is akin to his French contemporary Jean-Luc Godard. However, he has also been a director easily forgotten by present day viewers due to his then-topical concerns and the fact that his taboo-shattering agenda has long-since been co-opted and commercialized by more entertainment-minded shockmasters like Shinya Tsukomoto and Takashi Miike. Despite this, I find that his films are still relevant today and provide insights into a filmic history of resistance to mainstream traditions and studio censures that I recently discussed in a Japanese Directorial History series. Nagisa Oshima refused to fade out quietly and returned thirteen years after his last major work to make “Taboo” in 2000, proving that he was a talented voice that still had something left to say. As a tribute to Oshima I will be reviewing “Night and Fog in Japan” (1960) his most influential film from his early career. Tomorrow I will review “Taboo,” his final film to date. 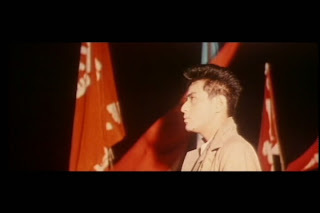 “Night and Fog in Japan” takes its name rather explicitly from the Alain Resnais French documentary short “Night and Fog” which in turn takes its name from Adolf Hitler’s directive to kidnap and kill political activists under the cover of “night and fog.” The name is apt for the film, which concerns a large group of political activists. Oshima himself was a member of the Japanese Youth Movement, but became disillusioned by its failure to procure any real change, particularly the prevention of the government from signing the US-Japan Security Treaty in 1960. His film takes place not long after this event and is set primarily at the wedding of two student activists, surrounded by their friends and former protestors. Initially quite celebratory, the evening turns nasty as more guests arrive, accusations start flying and the full truth about the last few years is revealed. 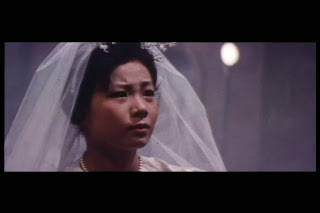 Dozens of flashbacks are used as the various characters tell their side of the story with a fair amount of Rashomon-inflected bias and rationalization. The plot itself is far too complicated to give in detail here, and will be difficult to grasp for almost any viewer on the first time through. The cast of characters includes more than twenty major players whose intertwining pasts, conflicting motives and mounting resentment make the story as obscure as the “Night and Fog” title suggests. Through the flashbacks several mysteries are posed. One concerns a possible spy who allowed a captured political prisoner to escape. Lesser mysteries concern the disappearance of one character and the suicide of another. Though they serve to keep the viewer engaged, in the chaos of accusation, lies and misinterpretations at least one of the major mysteries is left unsolved. Oshima makes it plain how the revolutionary movement failed, ultimately positing that it destroyed itself through a combination of compromise, hopelessness, power struggles, lack of dedication and selling out. The wedding that is the films core (as well as another recent wedding) is revealed as hypocritical farce and a retreat into bourgeois comfort. Notably, it takes place during a protest that none of the guests are attending. As we come to learn the characters’ background we see the fragmentation that exists within the movement: student vs. worker, student vs. faculty, individual vs. party, pacifists vs. violence advocator, nihilists vs. hopefuls and social climbers vs. social outcasts. 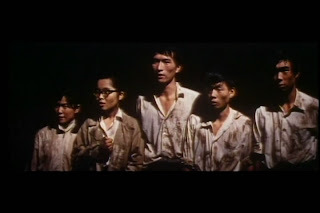 Critical interrogations of the youth movement and the 1960’s at large are not particularly rare, but Oshima excels for at least three reasons. First, his film was an entire decade ahead of its time, already willing to turn a skeptical eye on a period of activism that most directors only cast back to with the jaded hindsight of the 1970’s. Secondly, his enormous cast presents an Altman-esque coverage of vying perspectives, creating one of the most thorough and exhaustive accounts of a turbulent and complicated subculture. Finally, and perhaps most importantly, Oshima made the film’s form as revolutionary as his content, once again putting him in the good company of Godard. 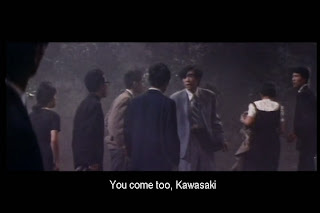 The most overtly avant-garde aspect of the film is Oshima’s sequence shooting (one scene, one shot) which uses dynamic camera movement and focus pulls to follow the action. 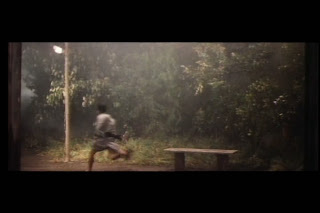 Shots enter into flashbacks after moving into close-ups on the narrating character and ominously end on images of darkness and fog. Lighting is kept realistically dim or incomplete in some scenes but casts harsh spotlights into absolute darkness in various surreal sequences. While some criticism has been aimed at the sometimes sloppy framing (owing to the moving camera and long takes) and the obscurity of the plot, I think the film still stands on its own today. The story is engaging, the character interplay is executed with tragic precision and the camerawork makes for an interesting diversion even divorced from its political context. 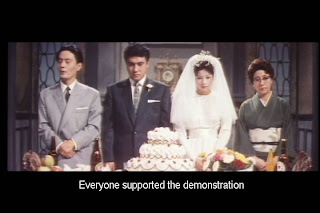 The ending is a perfect fit, a narrative and thematic spit-in-the-eye at the revolution that let Oshima down. Brilliant! Who wouldn't want to see this classic after such a review! Although Criterion has released 8 of his films - this isn't one of them.... yet. Thank you! I think you can watch the film nowadays on Hulu (in the US) and there is a DVD out in Japan. I think you are right to suspect that Criterion has plans to release this in the very near future.